Heating a church is never easy. Intermittent use coupled with a huge air volume and poor thermal properties mean that conventional space heating is rarely viable. The alternative approach is to heat people directly without any attempt to generate and maintain a body of warm air. Of all the types of direct heaters that can be installed, by far the most popular are the pew heaters. 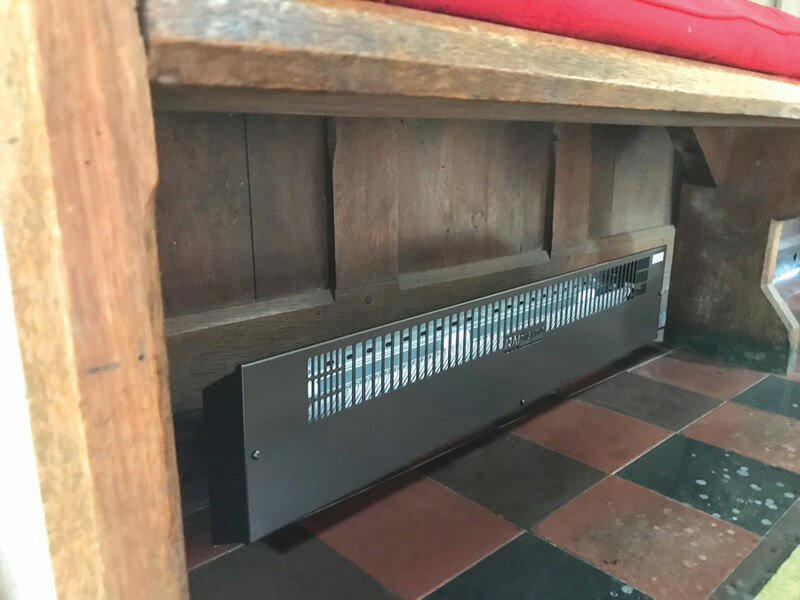 Pew heaters are simple convector heaters which are fitted directly under the seat of the pew, providing direct heat to the congregation. The heaters are visually unobtrusive and, because very little pre-heating is required, economic to run. 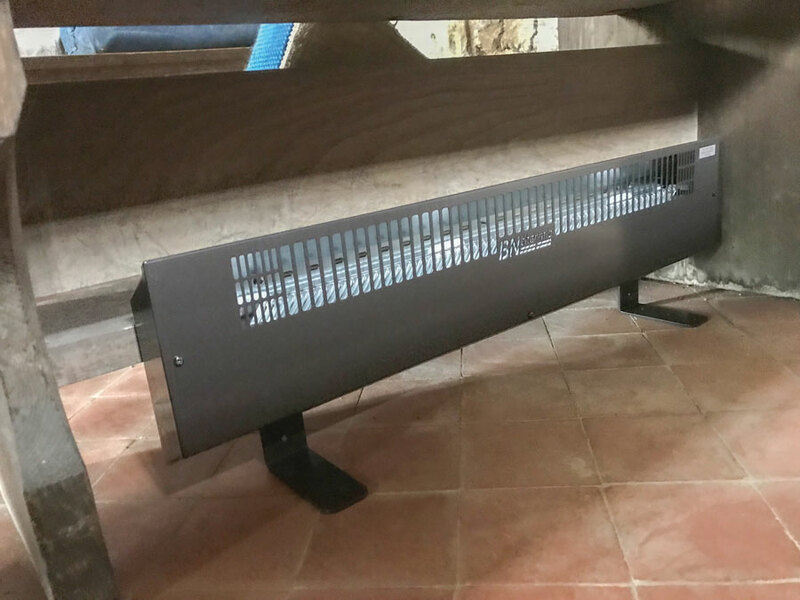 BN Thermic has been supplying its BLC range of pew heaters to churches throughout the UK for many years but now it is time to unveil a brand-new model. What’s the same? What’s been changed? Changing a successful product has to be done with care. Our plan throughout the process was to retain the features that made the original design so popular but the make improvements that will be a benefit to the end user and the installer. Two key design features have not changed. We have retained the all-steel construction which guarantees many years of reliable service. 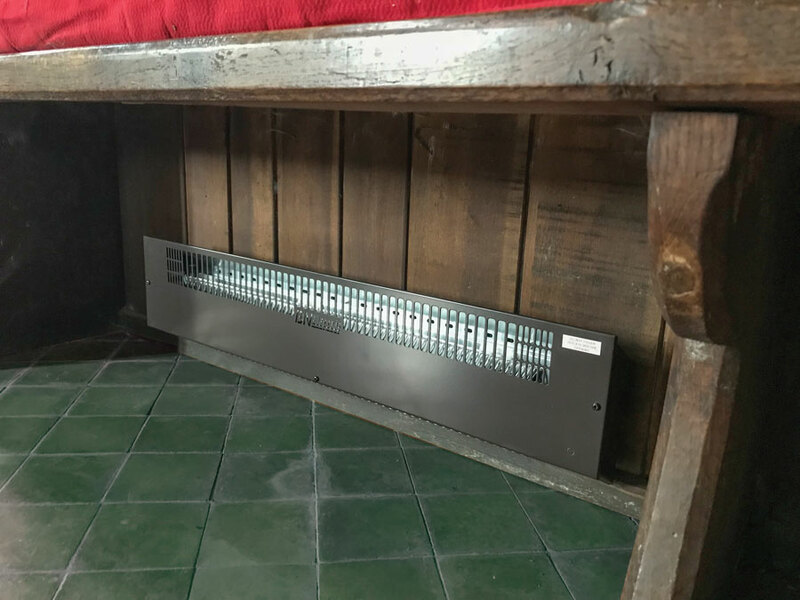 We have also retained the dark brown paint finish which makes the heaters virtually invisible when installed under a traditional pew. 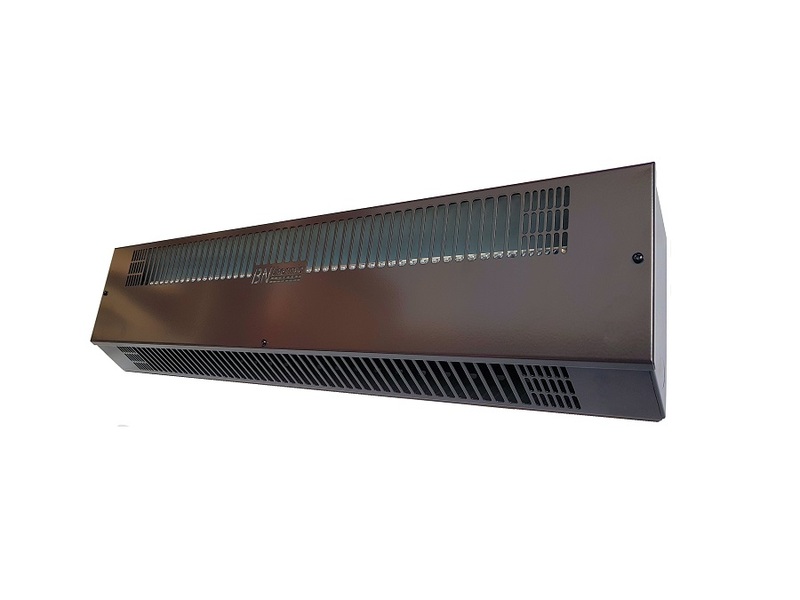 The new PH range of pew heaters has a redesigned case which removes any need for an external grille. Also, because the front panel can be removed completely, fixing to a pew’s backboard in much easier and quicker. Click here for the full heater specs. We believe that the PH range will become the gold standard for church heating. If you would like our assistance in designing a church heating scheme, please call us on 01293 547 361.